Well its here again, the end of another summer season. Thirty concerts in all and a lot of charity funds raised. There is a definite feeling amongst the choir that we have reached a new level this year particularly towards the end. This is backed up up by our MD “Wilbur” Williams who has been uncharacteristically complimentary of late. I’m sure it won’t last but it’s nice while it does. Soloists on the night were Peter Neate with Danny Boy, Eric Mullins with "If I were a rich man." and a mammoth session of stand up comedy from Eddie Stapleton. Then on Thursday 29th September at a packed Arts Festival concert the best compliment of all was the almost universal standing ovation and demands for an encore. I feel sure that the few people not standing were not doing so because of their inability to do that easily. Delight was evident on the faces of members of the audience. It can be hard work sometimes going over difficult parts of a song when we are learning it or practising it but evenings like that make it all worthwhile. Of course our performances are immensely enhanced by the beautiful piano accompaniment of Jill “No Relation” Williams. They say that children should be seen but never heard but in Jill’s case she very much heard but hardly ever seen. 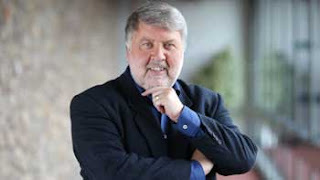 The only remaining founder member of the choir is Tom Pearce and that means he has been with the choir for over 40 years but he has lost none of his enthusiasm or singing quality. He often performs a solo of “My Little Welsh Home” but this time he also sang two other solos with the lovely John Denver song “Annie’s song” and Panis Angelicus. Annie’s song is said to have been written in about 10 minutes by John Denver on a ski lift in the Aspen mountains in Colorado as an ode to his wife at the time Annie Martel Denver. Panis Angelicus which is Latin for “The Bread of Angels” no doubt took longer than 10 minutes when written by Saint Thomas Aquinas. For the second interval spot we had something completely different with a trumpet solo by Fred Smith who played the Trumpet Concerto in E flat major. 1st movement. by Joseph Haydn. Fred tells me this is his real name and not just a deeply thought out stage name!! It has a definite “Bert Weedon” ring about it and we all remember him. Don’t we? Fred is a 17 year old student at Ysgol Greenhill Having started trumpet aged 7 he has been playing trumpet for over 10 years and has just recently achieved his Grade 8. In addition to solo playing, he is an active member of numerous County Ensembles, ranging from County Wind Band and Big Band, to the Pembrokeshire Brass Quintet and the award winning Symphonic Brass. Recently, several ensembles in which Fred is a key member made it though to the national round of the highly regarded Music for Youth festival to perform at the Birmingham Concert Hall. He is also heavily involved with school ensembles such as the Orchestra and Jazz Band, and has been on multiple European tours over the years. The choir has a really interesting and information packed website. If you haven’t visited it at www.tenbymalechoir.org then it’s really worth a visit. Amongst other things there are videos of the choir. These videos are all live so they may not always be our best performance but they are still enjoyable. Webmaster David Stewart-Walvin keeps the website bang up to date with news, photos, the choir blog and absolutely anything you need to know about the choir. If you’ve enjoyed a concert there is also a guestbook where you can put your comments and read what others think. David also maintains a choir Facebook page. He can be contacted on anything to do with the choir on 01834 844926. There were no concerts to report on last week so we had two very successful rehearsal sessions including some good progress towards the songs we have to learn for our attendance in the massed choirs’ concert at the Royal Albert Hall in London in 2018. We did however, receive a very nice message from Barnados to thank the choir and to tell us that the charity benefited by £1300 from the concert we held in the previous week. On Sunday 25th September we attended the Civic Parade and Civic service for the blessing of the new Mayor. Six members of the choir attended but two of them, chairman Paul Varallo and Ken Sanderson had to rush off before the photo opportunity. Shown in the photo with Mayor Laurence Blackhall are Peter Neate, Tony Hesselgrave, Secretary David Stewart-Walvin and Allan Keating. This was also the commencement of the Arts Festival week and by the time this report appears we will have attended our last two concerts for the year. One at the Giltar Hotel and one for the Arts Festival at St. Mary’s church. So with the concert season over it will be concentrated rehearsing and learning for some months. If you have ever thought of joining a choir there is no better time than now to come along and see just what happens. You don’t need to plunge in, just come along and meet us or watch a rehearsal and maybe enjoy a drink and a chat with members afterwards. Even if you don’t feel you want to sing you can still take part in choir activities and the social side by joining the Friends of Tenby Male choir. The Friends of Tenby Male Choir are people who support us in various ways and enjoy joining in the social side without necessarily being singers. It is small at the moment but we want to encourage it to grow. Details of this can be found on our website (details below). The group met for a social evening last Friday at the County Club on the Croft, Tenby with 30 supporters turning up to read poems from varying sources. It was interesting and very entertaining with perhaps the stars of the evening being nonagenarian Duncan Hilling and his allegedly much younger wife Audrey. Breaking all the rules of the evening by not reading a poem they did instead a mini two person play about a husband trying to tell his wife something but being constantly interrupted. It had everybody in stitches. As they criticised and argued with each other it was difficult to tell if it was still part of the play or not. Very funny. Interspersed between three sessions of reading poems from such poets as Pam Ayres and Roald Dahl and even Dylan Thomas as well as personal contributions were breaks to enjoy a fine selection of home made puddings and of course the club bar was open. Thanks to Phil Mumford for manning the bar at short notice. The history of the Friends of Tenby Male choir is that this originated as a ladies section being formed by wives and partners of choir members but it has now been reborn as a group open to males and females, choir members, partners and absolutely anyone else young or old who wants to come along. It doesn’t have an official set of aims yet but in simple terms it has been formed to support the Tenby Male choir in any way it can. The group believes that the choir serves a great purpose in the town putting the town on the map, raising charity funds with its concerts and providing a platform for young musicians, often from Greenhill School. So this is a way of supporting the choir. One member, Jim Cornwell, for instance has now become the choir photographer something we have struggled with in the past as we have to be on stage and we can’t sing and take pictures. Could you help in some way? If it has another aim it is to have fun and we intend to have a variety of evenings such as the Poems and Puddings evenings to further that aim whilst raising a bit for the choir at the same time. If you would like to join us or know more or if you have ideas on what we could do you can email Allan Keating on allangkeating@gmail.com or by phone on 07967 370481. That is the current slogan of the Barnardos childrens charity. This year marks 150 years of helping children, young people and families and as the slogan implies they will go on doing so. The charity handles almost a quarter of a million cases per year so this was another worthy cause for the choir to be involved with. Jessica who has a Masters Degree in Opera has won many prestigious awards including the Aneurin Davies Memorial award, the Mansel Thomas prize, the Margaret Tann award and the Elias Soprano award and was recently chosen as part of an octet to perform for HRH, Prince of Wales. She has appeared at many major venues including the Millennium Stadium and is soon to appear at the Albert Hall. It would take up an entire page in fact to list the places she has been to and performed in and the people she has performed with. Of course Tenby Male choir could now be top of that list!! The choir’s programme for the evening included once again a solo by Tom Pearce with his always popular Home on the Hill and “not only but also” we had our Peter Cook and Dudley Moore look-alikes John Butland and Kevin Morgan singing the third verse of Working Man. You have to imagine them both with a little more hair for the full effect!! John who often performs for the choir with his guitar told me that in his younger days he often appeared with Cream but it took me a while to realise that he used to have a milk round. The choir finished with the always popular American Trilogy where once again Dr. John Harrison, Director of Music at St. Mary’s church, accompanied us with the magnificent church organ. The audience that evening was a very international one. I’m not sure that I can recall all of the countries represented but I know that we had Americans, Australians, New Zealanders, Austrians and French. I think we can safely say that we enhanced the special relationship with the singing of the American Trilogy as the people from the USA stood to their feet and applauded furiously at the end. Tonight (Friday) we have a light hearted evening planned which has been arranged by the Friends of Tenby Male choir. The evening is called Poems and Puddings. It will, as the title implies, be an evening when poems are read by choir members and friends and there will be a selection of free puddings afterwards, or perhaps during, the readings. It takes place at the County club starting at 7:30. You can come along just to listen and eat or you can volunteer to read a poem either one of your own or someone else’s. All contributions are welcome. The entrance fee to include puddings is just £5. If you are thinking of joining us please give our secretary David Stewart-Walvin a ring so that we can make sure there are enough puddings to go round. Next week we have two concerts with a hotel concert at the Giltar Hotel, Tenby on Tuesday 27th. If anyone would like to come to this there is no entrance fee. Just turn up at the bar in time for singing to begin around 9pm. We then have one of our most important regular annual concerts when we perform as part of the Arts Festival week. This is on Thursday 29th September at St. Mary’s church, Tenby starting at 8pm. You are advised to be early if you want to get a good seat as this is always well attended having been publicised as a major event in the festival. It will also be the last chance to see the choir in concert this year as this is the final one in our 2016 programme. It’s been another year of raising a lot of money for worthy local organisations and once again its been a lot of fun. We have a bit more enjoyment though as even though our planned programme has officially finished we have been asked to sing as “The Specsavers choir” for a promotion by this leading opticians group. We were asked to do this last year in support of Welsh Deaf Rugby charity and it was so successful that we have been asked again. Details of when and where we will be singing will be published nearer the time. The choir has a really interesting and information packed website. If you haven’t visited it at www.tenbymalechoir.org then it’s really worth a visit. Amongst other things there are videos of the choir including some really good ones from this latest concert produced by choir Friend Di Mumford. Webmaster David Stewart-Walvin keeps the website bang up to date with news, photos, the choir blog and absolutely anything you need to know about the choir. If you’ve enjoyed a concert there is also a guestbook where you can put your comments and read what others think. David also maintains a choir Facebook page. Given that it was September when the town is a bit quieter following the school holidays we were very pleasantly surprised to have a large enthusiastic audience last week. The choir sang a varied programme including Bring Him Home, Let It be Me, Working Man and My Grandfather’s Clock as well as popular Welsh songs such as Hiraeth and Y Tangnefeddwyr. The final item in our programme for the evening was supposed to be The American Trilogy. It is always a surprise for new visitors when the church organ accompanies the choir during the third song in the trilogy – the Battle Hymn of the republic. It is a wonderful sound which delights the audience every time. However our intended finish was cancelled with calls for an encore and we then sang the beautiful traditional hymn Morte Christi with this once again being accompanied to great effect by Dr. John Harrison on the church organ. This was a real treat for the audience. Master of ceremonies Dave Blackmore was on good form with a mixture of dubious facts and undoubtedly an element of fiction in introducing each song. I think the choir members learn something knew about each song they sing with Dave’s entertaining introductions although I’m not sure how reliable that learning would be in a quiz. There were also a number of solo performances on the night by lead vocalist Paul Varallo who sang a number of songs, Tom Pearce with a moving rendition of Home on the Hill, John Butland in Working Man and 90 year old Duncan Hilling in The Fields of Athenry. We have a bit of a break from concerts next week so we can get in some quality rehearsal time but we will also have the opportunity to socialise as the Friends of Tenby Male choir have organised a Poems and Puddings evening on Friday 23rd September at the County club starting at 7:30. You can come along just to listen and eat or you can volunteer to read a poem either one of your own or someone else’s. All contributions are welcome. The entrance fee to include puddings is just £5. 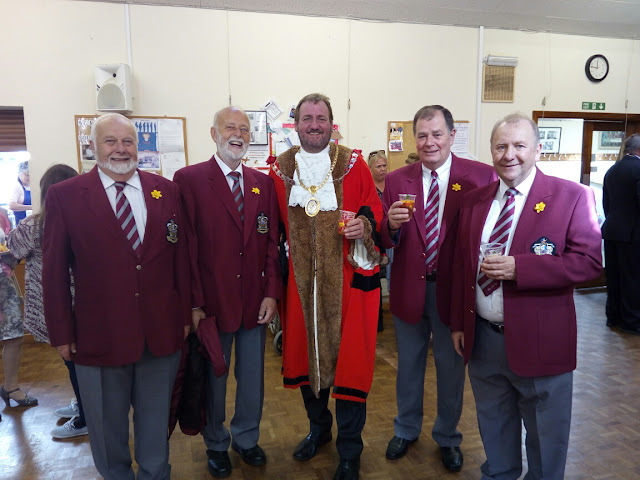 The Friends of Tenby Male Choir are people who support us in various ways and enjoy joining in the social side without necessarily being singers. It is small at the moment but we want to encourage it to grow. Details of this can be found on our website (details below). We are very grateful for their help at our successful coffee morning held on Saturday 10th September where local people and holidaymakers were treated to a cup of tea and a biscuit for just £1 and also had the opportunity to purchase tasty homemade cakes. There will be little rest in the following week as we have two concerts in this final week of our 2016 programme. We start with a hotel concert at the Giltar Hotel, Tenby on Tuesday 27th. If anyone would like to come to this there is no entrance fee. Just turn up at the bar in time for singing to begin around 9pm. We then have one of our most important regular annual concerts when we perform as part of the Arts Festival week. This is on Thursday 29th September at St. Mary’s church, Tenby which starts at 8pm. You are advised to be early if you want to get a good seat as this is always well attended having been publicised as a major event in the festival. After that although our season has officially finished we have been asked to sing as “The Specsavers choir” for a promotion by this leading opticians group. We were asked to do this last year in support of Welsh Deaf Rugby charity and it was so successful that we have been asked again. Details of when and where we will be singing will be published nearer the time. On Tuesday 28th June we held a concert at St. John’s church in aid of the Pembrokeshire fundraising branch of Guide Dogs Cymru and Talking Books Wales of Carmarthen. There was a very large audience with many visitors from far afield including some from the USA. The concert was a great success with many positive comments afterwards from a musical perspective but from a financial perspective it also raised £826 between the two charities. It was a night for soloists young and more senior with 9-year-old Elizabeth Morgan from Tenby playing the piano and with popular local singer Eva Rich from Saundersfoot of slightly more advanced years also performing. Elizabeth enthralled the audience when she played “Gondellied” by Felix Mendelssohn and “Swan” by the Japanese composer Karen Tanaka. Elizabeth began playing the piano at five years of age, which is quite amazing and only one year later gained a Distinction in ABRSM Grade 1 Practical. Her progress has continued and year after year since then she has gained commendations and had award-winning performances. She has recently had an audition with The Welsh College of Music (Junior department) and been accepted to start there in September of this year. I am sure we will hear a lot more of Elizabeth and we hope that she will perform for us again in the future. Eva also delighted the audience with popular songs “What a Wonderful World”, “What Will Be Will Be” and “If I Only Had Time”. A couple of the choir members made contributions as soloists with vice chairman Tom Pearce singing My Little Welsh Home and top tenor John Butland contributing a solo verse in Working Man. Our next performance is a less formal one TONIGHT (Friday) when we have an outdoor event at Lawrenny Arms where there will be a BBQ available. This is a free concert so just turn up if you wish to hear us. It starts at 6pm. It’s a fun evening in a lovely spot. All our rehearsals are in our headquarters at the County Club and people are always welcome to come and listen or even just join us for a chat before rehearsal. We are normally arriving from 7:30 onwards and congregate in the bar. We often have guests from nearby hotels calling in so if you are a hotelier make a note that we rehearse on Tuesdays and Thursdays at 8pm if you wish to add a little something free of charge to your guests holiday. Of course we sometimes do concerts on those nights and so it’s wise to ring our secretary if you want to check or look out for posters around the town. Your guests are of course more than welcome to have their holiday enhanced by coming to the concerts as well. There is much more information about the choir on our website www.tenbymalechoir.org or Facebook account (just do an internet search for Tenby Male Choir Facebook). A final thing for local people male or female to think about is that we are keen to develop on the small “Friends of the Choir” organisation and if you perhaps don’t want to sing but would like to join in the social side and if possible help the choir you would be very welcome. Our secretary David Stewart-Walvin is always glad to receive a phone call from interested people on 01834 844926. Tenby Male Choir – Talent spotting? On Thursday May 26th at St. Mary’s we had the pleasure of performing in a concert to commemorate the pending closure of the existing Tenby infants school which has been there since 1953. It is to be demolished as the children move to a new school. The concert was named “The Final Countdown”. There were choirs from the Tenby Infants school themselves, St. Teilo’s Roman Catholic Primary school, Tenby Junior Community School, St. Mary’s church, one formed from the staff of Tenby Infants School and of course ourselves. If we had been scouting for potential new members for the there was certainly plenty of talent on view. As well as the choirs Rhianon Andrasko represented Ysgol Y Preseli with two pieces on the trombone, the St. Mary’s handbell choir conducted by Dr. John Harrison and livening things up enormously a jazz orchestra from Greenhill School. All in all, a very good evening. The choir joined the Tenby Staff choir to sing Calon Lan and then performed Gwahoddiad and My Grandfather’s clock. This always entails audience participation and was particularly enjoyed by the many children there on the night. The choir can now concentrate on some fine tuning of our new repertoire items Working Man, Let it Be Me, the African trilogy and Diolch I’r Ior as we have no concert until 25th June when we will perform in St. Teilo’s church but there will be more on that nearer the time. It is possible on a fine evening that we may of course do a bit of harbour singing. These would be instead of a Tuesday or Thursday rehearsal but decisions on those will be made on the night. We rehearse in our headquarters at the County Club and people are always welcome to come and listen. We often have guests from nearby hotels calling in so if you are a hotelier make a note that we rehearse on Tuesdays and Thursdays at 8pm if you wish to add a little something to their holiday. Of course we sometimes do concerts on those nights and so it’s wise to ring our secretary if you want to check. Your guests are of course more than welcome to have their holiday enhanced by coming to the concerts. The choir is very much a community organisation and supporting the staff and infants on their evening was very much part of that. We always promote the area and do a number of concerts every year supporting local charities and also sing at other places like Cresswell Quay, Lawrenny Ferry or the Tenby or Saundersfoot harbours. Following this theme of the choir as a community minded association one of our regrets is that we do not make more use of our headquarters at the County Club on the Croft. We would really like to make more use of the club as a base for other local organisations on a permanent or ad-hoc basis. We have a lot of spare room at the County club and we are looking to renovate some of the less maintained areas which we would be happy to do in conjunction with local organisations. So if you are an existing organisation or business or looking to start one why not talk to us to see if we can help provide some facilities. If you would like to discuss this please phone or text Allan Keating on 07967 370481. There is much more information about the choir on our website www.tenbymalechoir.org or Facebook account (just do an internet search for Tenby Male Choir Facebook). Alternatively our secretary David Stewart-Walvin is always glad to receive a phone call from interested people on 01834 844926. The choir travelled to Cardiff on Saturday taking up an invitation from the Cardiff Arms Male Voice choir to attend and appear in their 50th anniversary concert. The concert took place virtually in the shadow of the Arms Park at St. John the Baptist church. The highly respected Dowlais Male Voice choir had also been invited so we were in good company with about 100 choristers in all combining for three joint sessions as well as each choir doing its own solo spot. In terms of solo spots we would like to think they saved the best till last as we were the third choir to sing in the second half of the concert. The other choirs had performed well and got a good reception but there was a clear distinction in the positive audience reaction to our entertaining performance. One audience member amongst many who said how much they enjoyed the concert told me that after our performance of My Grandfather’s Clock he would never see the song in the same light again. The choir lining up for their session. The choir performed Y Tangnefeddwyr, Bring Him Home,Ora Me Jay Ka Jo and My Grandfather’s clock. As usual our MC David Blackmore entertained the audience with his introduction to our session and one of our biggest challenges these days is living up to the introduction!! No weekend away is just about our formal concert, however, and so the concert was followed by an excellent buffet at the Angel Hotel where we enjoyed the customary “afterglow” with all choirs putting on some ad-hoc acts and also singing in unison. To say the least this was a varied evening surpassing many others. The first surprise was our discovery that there was a high school choir from Mountain View, near San Francisco, California in the hotel and we invited them to “sing us a song”. We were taken aback by their performance which featured three songs the first of which was Myfanwy. These talented young people received a well deserved and prolonged standing ovation for this. We in turn provided them with a rousing rendition of the American trilogy which clearly delighted them. Before the young choir left they sang the Star Spangled Banner and we responded with Mae Hen Wlad fy Nhaddau. For those with a fondness for the sanctity of music it was sad to see the enthusiasm with which the performance was greeted by young, old, male and female members of the audience. Not to be beaten one of the Cardiff choir then responded with an hilarious take off of this called Ghost Chickens in the Sky and he too got universal applause. This was the first “away” trip for some of our new members and one of them did say to me on the bus coming home that in many years as a member of a Male Voice choir this was the most enjoyable trip he had been on. But there was a good Samaritan at hand in the form of the lady coach driver from Evans Coaches of Milford who said that she had to take a coach up to Cardiff the following Tuesday and would pick up the case. Now that is what I call exceeding expectations. Today the choir are having their Spring "meet and greet" day out where we hope to take a bit of singing out of the normal confines of a church to various stops in the county. The trip starts with a bus ride from the Arcade, Saundersfoot and will visit Narberth initially for breakfast and then various other towns. So this is what Male Voice choirs are about. We are benefiting from new members some young and some more senior but we always have room for more people who want to come and get a taste of the enjoyment of singing in its many forms. New people are always welcome to join our organisation even if they don’t feel able to join in the singing part of it. There is a lot to do in a choir and there is a place for people who want to join in the social side but also help out with the various administrative jobs that go with running a choir. Whether you sing or just support you will always be welcome on choir rehearsal, concert and away day trips or longer tours. For the next few weeks we will be rehearsing at the county club so feel free to come along to watch or talk to choir members. Our next concert is on Tuesday 10th May at St. Johns Church in aid of Cancer Care (Macmillan nurses Cancer Research Tenby and Tenovus). The concert begins at 8pm. If you can’t make it to a concert or rehearsal but would like to know more about us then look at our website www.tenbymalechoir.org or Facebook account (just do an internet search for Tenby Male Choir Facebook). Male Voice Choirs are made up of people from a wide variety of backgrounds and ages with one thing in common, their love of singing. Last week saw youngest member Wesley Davies reach 23 and Jim Taylor reach 89, both second tenors. This was topped, however, by Wesley’s grandfather, Duncan Hilling reaching his 90th birthday on 14th March. As a special treat Duncan was allowed to conduct the choir for the last 15 minutes of our rehearsal on Tuesday night. Little did he realise that whilst he was waving his arms upstairs, his wife Audrey, also 90, was downstairs finalising arrangements for a surprise party with old friends, partners of the choir and of course family. A stunned Duncan was very moved, so much so that he was lost for words - not a common occurrence for Duncan. To mark the event in the words of Chairman Paul Varallo, the choir gave Duncan something as old as he was, an original newspaper the Sunday Pictorial, dated Sunday 14th March.1926. A Day to Remember. After that the evening continued with a wonderful buffet, tasty cake, good conversation and not a little beer and wine. It’s great to see Duncan fighting fit at 90 but if he had tried a little harder and been born just 47 years earlier he would have shared his birthday with Albert Einstein. He’s in good company. Duncan with choir gift “A day to remember”. It’s great to see new singing members but a choir is more than just about singing. There is an active social side to choir membership, including travelling to away venues. New people are always welcome to join our organisation even if they don’t feel able to join in the singing part of it. There is a lot to do in a choir and there is a place for people who want to join in the social side but also help out with the various administrative jobs that go with running a choir. I suppose it’s a bit like a football or rugby club where there are both the players and other very valuable people backing them up. Please get in touch if you want to be involved in any way with your local choir. Our next concert is on Thursday 7th April at St, Mary’s church. Although we have already done the traditional St. David’s Day concert this next concert marks the start of our regular programme of concerts. We will hopefully delight our audience with the fruits of our winter labours on some new songs, so don’t miss out!! If you can’t make it to a concert but would like to know more about us then look at our website www.tenbymalechoir.org or Facebook account (just do an internet search for Tenby Male Choir Facebook). Our concert season starts with our traditional concert on St. David’s day which will be in support of St. John’s church funds on Tuesday, 1st March at 8pm. The choir ready for a new concert season. Each of our concerts has a different programme for the night but it will be a selection from our 2016 repertoire which comprises the following songs. What Would I Do with- out My Music? The repertoire demonstrates the variety of music which you can enjoy at one of our concerts. As you can see there are stirring hymns, songs from the hit parades of yesteryear or from the shows and musicals which we all love. Some are, of course in Welsh but also some in other languages which we have adopted over the years. We are also grateful to McCarthy and Stone, developers of the Paxton Court retirement homes for sponsoring the concert. On the day before the St. David’s Day concert on 29th February we will be performing a mini-concert on stage at the Torch Theatre. Singing will start at 7pm before the film screening of the film “Save our Choirs” The film is principally based on Blaenavon Male Voice choir. Despite the number of James Bond look-a-likes in the Tenby choir, we feature only in a small way but we were glad to help. The film is about the danger of decline in Male Voice choirs and how it can be prevented. A few years ago Blaenavon were struggling with a dwindling membership as they failed to attract new young members. The film tells the story of the choir's journey from the edge of obscurity to becoming the talk of the choral community. Like many traditional choirs, they failed to communicate with a changing digital world and had to completely re-think their strategy. The film makers Focus Shift Films helped the choir which had been one of Wales' most successful choirs to claw their way back into the spotlight and go on to win Best British Choir at the Cornwall International Male Voice Choral Festival. It is well worth coming along to enjoy this film if you have any interest in singing and especially if you have wondered whether being in a choir could be right for you. It is a chance to see why men join choirs, what the experience brings and how much they enjoy it. There is the added bonus of a free performance by Tenby Male choir prior to the screening. Tickets are available from The Torch Theatre box office or their website. If you can’t make it to see the film or our St. Davids Day concert but would like to know more about us then look at our website www.tenbymalechoir.org or Facebook account (just do an internet search for Tenby Male Choir Facebook). Tenby Male Choir – Film Stars? The choir held its annual dinner on Sunday 25th January at the Giltar Hotel. It was very well attended by choristers, partners and other choir supporters. Our president Roy Noble was present as usual and he was in fine form with his tales and reflections on many things relevant to male voice choirs. Roy is always entertaining and gave an interesting after dinner speech with plenty of humour. This was also the first official duty for new chairman Paul Varallo who thanked various members for their efforts during the past year and also gave out long service certificates to a number of members. All members of the choir were pleasantly surprised with a commemorative crystal glass inscribed for the Tenby Male choir 40th anniversary and accompanist Jill Williams “the best accompanist there is” in the words of Paul was presented with a bouquet of flowers by top tenor Joe Varallo. An evening of really first class food and service was rounded off with a few of the choir’s favourite repertoire items and a good time was had by all. On 29th February at 7pm in the Torch Theatre there is a screening of the film “Save our Choirs” in which Tenby Male choir feature in a small part. The film is principally based on Blaenavon Male Voice choir. A few years ago they were struggling with a dwindling membership as they suffered like so many other male voice choirs to attract new young members and of course in such circumstances choir’s age and lose members as a result. The film tells the story of the choir's journey from the edge of obscurity to becoming the talk of the choral community. Like many traditional choirs, they failed to communicate with a changing digital world and had to completely re-think their strategy. With the help of film company Focus Shift Films this choir who had been one of Wales' most successful choirs clawed their way back into the spotlight and went on to win Best British Choir at the Cornwall International Male Voice Choral Festival. This film offers guidance to other choirs in a similar situation and can inspire the choral community to evolve in a digital world. It is well worth making a date in your diary to come along and watch the film if you have any interest in singing and especially if you have wondered whether being in a choir could be right for you. It is a chance to see why men join choirs, what the experience brings and how much they enjoy it. The choir will be attending on the night of the film along with other local choirs and it is hoped that the choirs will perform in the foyer of the theatre so you should have the double enjoyment of live performance and the film. It’s a great chance to find out about choirs generally about any of the local choirs specifically and to understand more about choral life. Its not just about singing but it is a fulfilling and enjoyable social life with a variety of different forms of performance and plenty of travel. If you can’t make it to see the film but would like to know more about us then look at our website www.tenbymalechoir.org or Facebook account (just do an internet search for Tenby Male Choir Facebook). 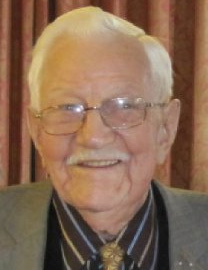 It was a sad occasion for the choir on 13th January when they attended the funeral of long serving and senior choir member Bobby Turnbull at the age of 94. The funeral took place in St. Mary’s church. As part of a very moving service the choir sang Ely Jenkins prayer and after the service the choir formed around the coffin of their friend and choir member to sing Speed Your Journey. They then led the funeral procession out of the church to form a guard of honour in persistent rain as the coffin was carried out. Bobby had become a member of the choir shortly after his cherished wife Mary passed away in 1989. He missed her very much and being in the choir helped him significantly with his recovery from that sad occasion. He was made a Life Member of the Choir some years ago in recognition of his exceptional service and commitment to the Choir. One of the tasks he is remembered for amongst many is as the guardian and salesman of choir cassette tapes for one of the choir’s earlier recordings. He had the spirit of the British Bulldog and applied this to the custody of the cassettes. Bobby lost his own father as a young lad and was brought up by his mother and at the age of 14 he entered work in the coal mines of his Durham home at Horden Colliery just before the start of the World War 2 and so will have played his part in the critical extraction of coal to fuel the factories so crucial to the war effort. Not long after commencing work in the mine Bobby “misinformed” his employers about his age so that he could qualify for work at the much more dangerous and demanding coal face simply because it earned higher wages. In the early 1950s however the coalmines of the North East came increasingly under the threat of closures and so Bobby moved his family to Nuneaton for security and also better conditions in the NCB mining accommodation. During his time in the North East Bobby had trained and raced greyhounds and also bred budgerigars and canaries. He had to give up his “Kree” of birds when he moved but he did take with him one canary and a budgerigar with one leg!! In later years in the midlands he worked for Dunlop and for Jaguar but in retirement moved to Tenby. He was very much a family man with two daughters Mary and Margaret who blessed him with four grandchildren Joanne and Elizabeth and David and Stephen. Stephen read a very emotional eulogy as part of the service. In 2003 he joined a few of Tenby choristers on a Tour of Eastern States of USA, to support the dedication of the British memorial to 9-11. The Tenby choir members were part of an invitational choir named 'the Comrades Choir and sang in Washington with the US Army chorus, in Boston with the Sangefest Male Choir. During that visit the Tenby members decided to make the most of their visit by walking to many of the landmarks and sights of New York but after the first day Bobby suffered numerous blisters. In a display of that “bulldog spirit” referred to earlier he simply changed into sandals and continued to walk. Apparently he didn’t think he would ever have another chance to come to New York and so he was not going to miss out on the sightseeing. Bobby will be long remembered and much missed by the members of the choir.